One of the first settlers to the environs was William Washington Arnett, who arrived in the winter of 1852. 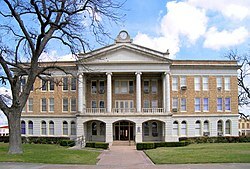 The Canyon de Ugalde Land Company, formed by land speculators in San Antonio in 1837, began purchasing headright grants in Uvalde County in the late 1830s. Reading Wood Black, who with a partner, Nathan L. Stratton, purchased an undivided league and labor on the Leona River in 1853 at the future site of Uvalde. 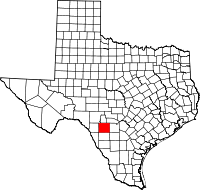 May 2, 1855, Black hired San Antonio lithographer Wilhelm Carl August Thielepape, and laid out Encina, the town later known as Uvalde. Waresville settlement by Capt. William Ware in the upper Sabinal Canyon and Patterson Settlement by George W. Patterson, John Leakey, and A. B. Dillard on the Sabinal River coincided with Reading Black's development of the Leona River at Encina.